Some of you may have come across the MOOC production fellowship, maybe also by following our link suggestions last week. The organizers have invited scholars from all over the world to submit their MOOC concepts for a competition earlier this year. Successful applicants will win a production grant in order to put the courses in to practice throughout the following next terms (winter 2013/14, summer 2014). More than 250 project teams responded to the call. The evaluation takes place in a two-step process. In the current first phase (until May 23! ), everyone is invited to cast votes for whatever course is consider to be worthwhile pursuing. In the following second phase, an expert and organizer’s jury will have the final call, but will take into consideration the online poll results. With the deadline coming up soon, you might want to consider checking out the projects and casting your vote. They cover topics as diverse as qualitative methods in social science, introduction to political economy, or my personal little gem ‘Harry Potter and issues in world politics’. But the MOOC discourse is not entirely positive anymore. In the blogosphere, ever more voices express concerns about the MOOC movement. They criticize the maximization of profits and prestige cartels or consider MOOCs as a form of edutainment and disneyization of higher education which could possibly culminate in what would essentially look like a TED talk as the ultimate model. MOOC are yet another way to make money out if the education systems. These ideas are indeed frightening, but over at the LSE Leslie Madsen-Brooks lists a bunch of true innovations in education that are not highly commercialized start-ups. But the fundamental reason is, I think, that I’ve been there and done that. As Brady notes, there’s absolutely nothing new about MOOCs. We can grant Nexon that he was one of the first professors to record and post his lectures online. We can also that MOOC are only hyped because of new technologies that are facilitating the participation in online course and its designs. But I think that this critique is nevertheless beside the point. Recording lectures and MOOC should be and probably are fundamentally different. I still remember my first encounter with online available lectures, Michael Sandel’s “Justice: What’s The Right Thing To Do?” at Harvard University. Recently, I also checked out the work of other people who uploaded their Introduction to IR or the Fundamentals of OLS Regression. These formats do not allow for active participation. It is essentially what we have experienced at one point or another in an overcrowded lecture hall: most lectures are one-man shows when a person stands in front of an audience and presents what she or he thinks are the relevant basics and arguments of their respective field or explain the logic of a specific mathematic model. If you are lucky these recorded lectures may provide at least to some extent class discussion, but only with the attending audience. This can easily turn out pretty annoying when they forget that those responding students should also have a microphone – and you will only hear ambient noise or nothing at best. you imply that MOOCs are not much more than recorded lectures. They are more complicated than that, and many of them don’t use recorded lectures at all. Are MOOCs problematic for IR and political science education? The best read on MOOC I had so far is Nathan Hall’s contribution, “Laptop U: Has the future of college moved online?“. 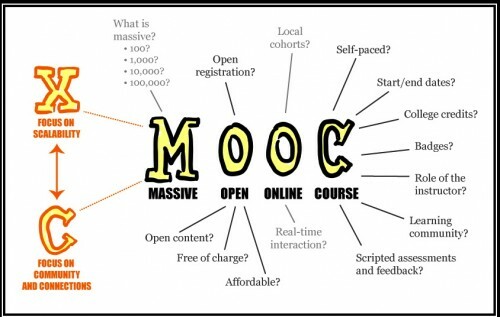 If you do not know much about MOOC, why it is heavily criticized, and why some universities invest heaps of money, I suggest you take the time and check this out. It is the most balanced piece I have come across as it is highlighting MOOC advantages and but does not sweep the perils under the table at the same time. Yet, this piece does not come without flaws either. For one thing, Hall is addressing specific problems that essentially go along the lines of natural science and engineering studies on the one hand and social science and the humanities on the other. While it is easy to present and assess factual knowledge in online environments, it is way harder to discuss the strengths and weaknesses of specific arguments and ways of arguing of, for instance in a theoretical contribution about the legitimacy-authority problem in international organizations. Discussion fora may be the way out, but you cannot leave the students without any guidance and I think you should not, either. Good teachers are able to moderate and divert discussions. That’s what they are paid for in higher education seminars. This is not possible with MOOC of about 150,000 students or even more. Secondly, social sciences and the humanities are as much about in-class discussion as they are about learning to write clearly, logically consistent, and in a well-structured way. Students should be able to critically engage with the relevant literature and to present an argument. How do you evaluate course work that goes beyond requesting simple factual knowledge that is either right or wrong? How can you assess persuasive arguing in MOOC? In the Hall text, Gary King, of all people, does promise solutions to this and sees ways to finally cross this bridge – but, for now, I just do not see it. On a more general note, is it worth striving for ever more online education? Until recently, I thought of MOOC as a nice add-on benefit for people who are interested in a particular topic totally unrelated to one’s own field or students who just need another way of approaching the subject matter once or twice. Yet, these courses are spreading. They are covering ever more topics and scientific fields. Thereby, they are attracting students throughout different countries who ideally want to earn some form of certificate or college credits for their home institution. MOOC might replace some of the seminars as we know them. Then again, MOOC drop-out rates seem to be high as of now and we may be seeking a problem that is none. Nevertheless, I am asking myself what the rise of MOOC means to the profession as such and to me since I am somehow in between grad school and soon-to-be teacher. On the one hand, as an IR student, these courses may help to brush up some knowledge or to come to grips with some specific statistical model. On the other hand, I think that MOOC cannot replace in-class discussions and the involvement with professors and fellow students. It may, however, serve as a complement to it. But what form should it take and how do we engage with MOOC courses then? Should IR professors and lecturers make use of these tools and contents? If so, how and where do we draw the lines? Should we even direct students to single online products to prepare for classes? 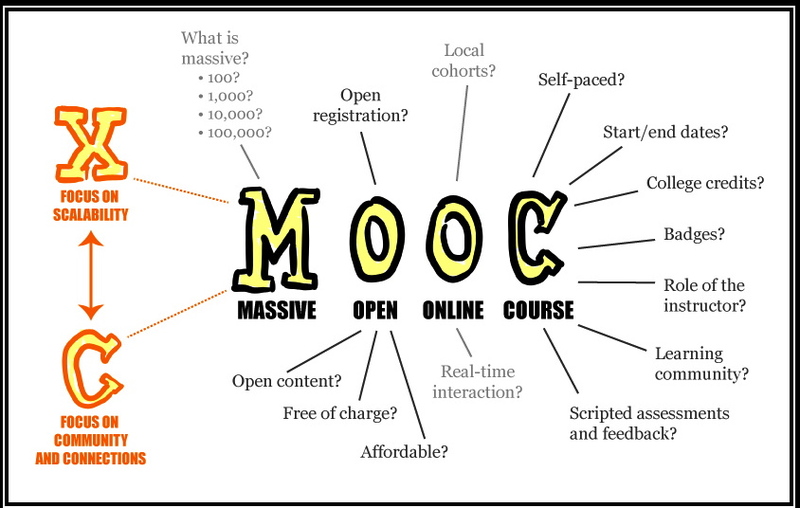 MOOC would then be yet another tool to improve learning conditions and maybe also teaching and learning success. Don’t we have enough of these tools already? And even if we reject this online-informed way of teaching, how will MOOC and its various tools and gadgets impact on in-class teaching? Will this lead to a race to the top and teachers will outdo one another in one respect or the other? This, again, relates to the edutainment problem mentioned above. For now, increasing MOOC dissemination raises more questions then it actually solves problems to me. If the movement and its spread prove to be only an overblown hype as alleged by some bloggers, these questions may turn out to be mere mind games. Yet, I do not think that MOOC will be the game changing development in higher education that would lead to pure online based education. But even if they are not, they may have an impact on teaching and learning. So the better question would be: What kind of impact will MOOC have on in-class higher education, and how? Thanks, Sören, interesting post! Just one comment. My friend Hannes Klöpper (Iversity) would certainly be better able to comment on some of the points you (and others) raised. But I’m sure he would hammer home his main point: MOOCs are not a substitute for intensive, interactive, small-group learning in seminars. On the contrary, Hannes argues that MOOCs can actually free money for more intensive learning in smaller groups if you outsource the big lectures to some gifted teachers who are able to convey the basics to a bigger audience in a MOOC. As he often says: The real distance learning already happens everyday at German universities – with students sitting on the floor in a big and crowded lecture hall. I would agree that the opportunities of modern technology could ease this problem. No one will miss lectures by unmotivated professors just reading from their (or other people’s) books. But many might profit from a combination of well-done MOOCs AND group-based learning with professors of their home institution.